This week, after a long and strenuous battle, the New Jersey Assembly passed a bill that would allow Tesla (as well as other electric vehicle manufacturers) to sell directly to their customers. The bill is now headed to the state Senate in hopes of being officially put in place. This was not the only major legislation to be passed this week, either. On Monday, New York Governor Andrew Cuomo signed previously approved legislation that would allow Tesla to continue selling its vehicles form 5 company owned stores within the state. For Tesla, this is a huge victory in their fight to cut out the middle man from their particular operation. Tesla, on the other hand, is a new company that does not wish to engage with current dealerships, as companies of the past have done. For Musk, this is not a political statement or an attempt to undermine current system. It’s all about business and success. In fact, it has been so difficult for emerging companies to work with established franchises, that there has not been a successful new auto company since Chrysler. That was nearly a century ago! 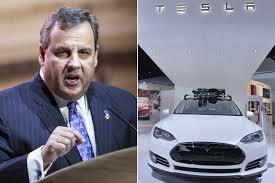 New Jersey Assembly Majority Leader, Louis Greenwald, led the charge on the recent passed bill, which allowed Tesla to bypass certain outdated and overzealous dealership laws. But the real question is: how will this effect the buyers?? However, many neutral organizations like the Consumer Federation of American and the Center for Auto Safety disagree with NADA. 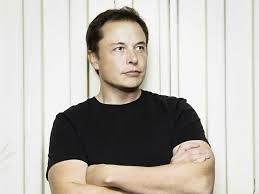 This entry was posted in Culture, Tesla and tagged Elon Musk, new jersey, tesla. Bookmark the permalink.